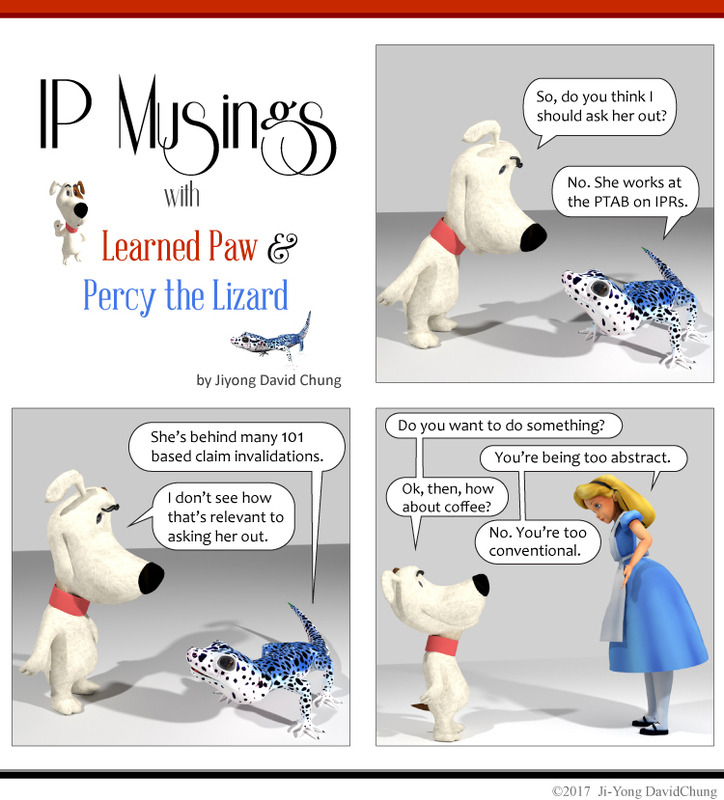 Previously, we looked at Moshinsky J’s reasons for finding that Intervet was not entitled to the invention claimed in its patent application for a “soft chew” dosage. In what appears to be one of the first judicial considerations of the inventive step requirements introduced by the Patents Amendment Act 2001, Moshinsky J has also allowed Merial’s opposition on the grounds of lack of inventive step. In addition to challenging Intervet’s entitlement to the claimed invention, Merial successfully argued that Intervet’s patent application lacked an inventive step in light of common general knowledge combined with the “Christensen” patent. The interest in the present case (unless you are in the business of developing soft chews) lies in how Moshinsky J applied the version of s 7(3) as amended by the Patents Amendment Act 2001 operates. (2) For the purposes of this Act, an invention is to be taken to involve an inventive step when compared with the prior art base unless the invention would have been obvious to a person skilled in the relevant art in the light of the common general knowledge as it existed in the patent area before the priority date of the relevant claim, whether that knowledge is considered separately or together with the information mentioned in subsection (3). being information that the skilled person mentioned in subsection (2) could, before the priority date of the relevant claim, be reasonably expected to have ascertained, understood, regarded as relevant to work in the relevant art in the patent area and, in the case of information mentioned in paragraph (b), combined as mentioned in that paragraph. … the phrase “relevant to work in the relevant art” should not be construed as meaning relevant to any work in the relevant art, including work irrelevant to the particular problem or long-felt want or need, in respect of which the invention constitutes an advance in the art. The phrase can only be construed as being directed to prior disclosures, that is publicly available information (not part of common general knowledge) which a person skilled in the relevant art could be expected to have regarded as relevant to solving a particular problem or meeting a long-felt want or need as the patentee claims to have done. Otherwise the words of limitation in the last 40 words of s 7(3) would have no role to play. Any piece of public information in the relevant art would be included, as is the case with the much broader and quite different formulation in the cognate provisions in the United Kingdom, which do not depend on the standard of a skilled person’s opinion of the relevance of the information. This difference in wording between the first and second iterations of s 7(3) does not appear to have been the subject of debate between the parties. Rather, the evidence appears to have proceeded on the basis that it was necessary to show that the skilled addressee could reasonably have been expected to regard the additional information as relevant to the problem of developing a “soft chew” medicament for animals. In addition, Merial pitched its attack on the basis of the modified “Cripps” question approved in Alphapharm. This does not appear to have been contested by Intervet. On that basis the evidence showed that a skilled addressee, given that task at the priority date, would be both likely to have carried out a search of the patent literature and found the Christensen patent. Merial’s witnesses said that they would have regarded Christensen as relevant to the problem. Intervet’s witness said he would not, on the basis that it did not teach him anything he did not already know. Moshinsky J accepted the evidence of Merial’s witnesses. wherein the moisture content of the composition is between 5.0 and 7.5 percent wt, and the soft chew formulation is formed by knockout and the soft chew formulation is not an extrudate. The inclusion of a flavouring component was taken as a given in such an exercise. All the experts said they would include flavouring in any product developed for such a project – apparently, animals have taste too! All three experts, Merial’s and Intervet’s, agreed that an emulsifying agent would be used as a forming agent. The water content range, 5 to 7.5% wt, was the range Merial’s experts would aim for in a “soft chew” product. Intervet’s witness gave evidence that the moisture content he would have aimed for was between 18 to 21%, but that was discounted because he had been asked how he would have developed a “semi-moist formulation” rather than a “soft chew” formulation as claimed. The Christensen patent supplied features (b), (c) and (d). Christensen described formulation by extrusion rather than knock-out. However, all experts agreed that, at the priority date, a knock-out process was known to be preferable to extrusion. Taking all these matters together as a whole, Moshinsky J was clearly satisfied that the claimed invention was obvious at the priority date. On the other hand, some of the dependent claims would not have been obvious. The soft chew formulation according to claim 1 characterized in that the emulsifier is a polyethylene glycol (PEG). PEG was known at the priority date, but not for use in a moulding process for an oral formulation. PEG was not disclosed in Christensen. One of Merial’s experts, Dr Pougnas, gave evidence that he would have considered using it for the emulsifier. The other expert did not mention it and, while Intervet’s expert knew of PEG, he had not had cause to consider it for use in pet foods. … I am not satisfied that the skilled person or notional research team at 13 August 2002 would directly be led as a matter of course to try PEG in the expectation that it might well produce a useful alternative to or better formulation than the prior art. Dr Pougnas’s evidence did not contain, to my mind, a satisfactory explanation as to why he would have considered PEG in addressing the notional development task. It would be different if, for example, there had been evidence that the common general knowledge included that PEG imparted softness and evidence that, for that reason, the skilled person or notional research team would have tried PEG in the expectation that it might well produce a useful alternative or better formulation. That would provide a logic for trying PEG. However, in the absence of such a rationale, I am not persuaded that the skilled person or notional research team would be directly led as a matter of course to try PEG in the expectation that it might well produce a useful alternative or better formulation. …. His Honour also expressed doubts as Dr Pougnas might be “too inventive”, having at least 13 patents to his name. He also admitted to being involved in some experimental work at the priority date, the details of which he was not at liberty to disclose. The research project did not form part of the common general knowledge. Moshinsky J was concerned, however, that that experience might explain why Dr Pougnas was willing to consider using PEG. Moshinsky J’s decision does show the importance when assessing obviousness of ensuring the expert one advances is appropriately skilled and tasked. As it was sought to add only one piece of prior art to common general knowledge, the Christensen patent, it does not explore how much the second (2001 Act) version of s 7(3) liberalised the willingness of the Courts to combine prior art which did not form part of the common general knowledge. It was not necessary for Moshinsky J to explore the significance of the omission from the second version of s 7(3) of the words which the High Court focused on in Lockwood (No 2). The parties and hence his Honour appear to have proceeded on the basis that the skilled addressee must regard the prior art as relevant to the problem, or long felt want, that the patentee was seeking to address through the invention. It has of course been superseded by the version introduced by the Intellectual Property Laws Amendment (Raising the Bar) Act 2012. ? That appears to be the plain intendment of the amended wording, but I don’t think we have authoritative judicial confirmation how that works, yet. ? I’m not sure why that doesn’t suggest that the relevant knowledge was not therefore part of the skilled addressee’s skill set? ?